Warsaw, June 18, 2015 – The rise of the share of online retail sales in Europe from its current 5.7% to an estimated 20%+ creates challenges for landlords and developers in the retail sector, as their ability to calculate and collect turnover rents may become increasingly problematic, according to Colliers in its report on retail in central and eastern Europe (CEE) – Tenuous Turnover: Implications of E-commerce Growth. Another rising issue of contention within this model is the growth in online sales by retailers with a bricks-and-mortar retail presence, and whether or how online revenue should be included in the sales figures for the purposes of calculating turnover rent. Complicating the matter further is the increasing popularity of omnichannel shopping. This includes the situation whereby a customer orders goods online, but for collection in-store, and whether such sales should be included in a store’s turnover. If the goods are paid for on-line then one may argue that the transaction was not concluded in a store, but what if the purchase is paid for in the shop upon collection? Similarly, where goods are purchased online but returned in store, is it appropriate for this to be deducted from a retailer’s turnover? Some retailers are using bricks-and-mortar stores as a showroom for their online sales as in-store and online sales become increasingly co-dependent. In the US, online retailing is developed to the extent that 10% of total retail sales take place exclusively online, with 55% of all sales entailing a combination of an online component and the customer visiting a physical store. This highlights the difficulty in defining which of the stages of the purchasing process can be attributed reasonably to the in-store component as opposed to online buying. 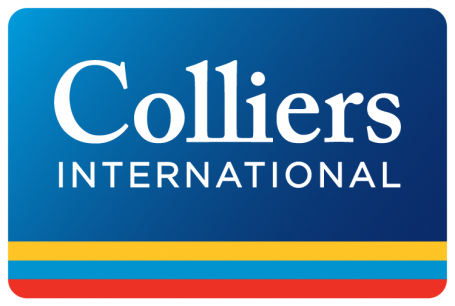 “Understanding the local interplay between in-store and online sales is becoming increasingly significant and with this in mind, there are great implications for landlords charging turnover rents,” says Damian Harrington, CEE Regional Director of Research for Colliers International. “The relatively low 5.7% online share of retailing as a whole in Europe tells us that although online retail is becoming mainstream, many retailers have only just begun the journey of integrating new operating models and formats into their business. There is much growth left in the omnichannel sector,” adds Harrington.